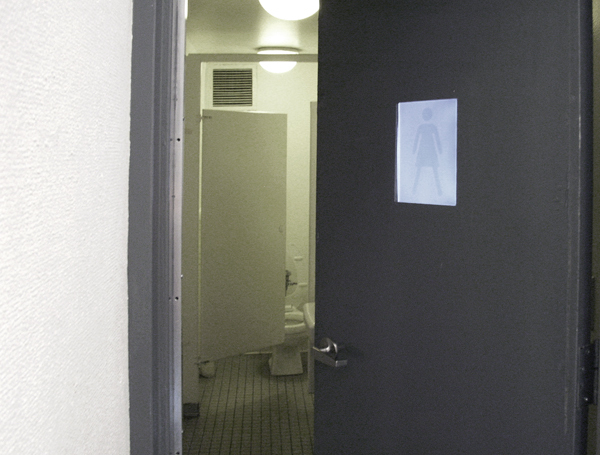 The Gender Anarchy Project is a site-specific installation that honors the efforts of activists for gender-neutral bathrooms. 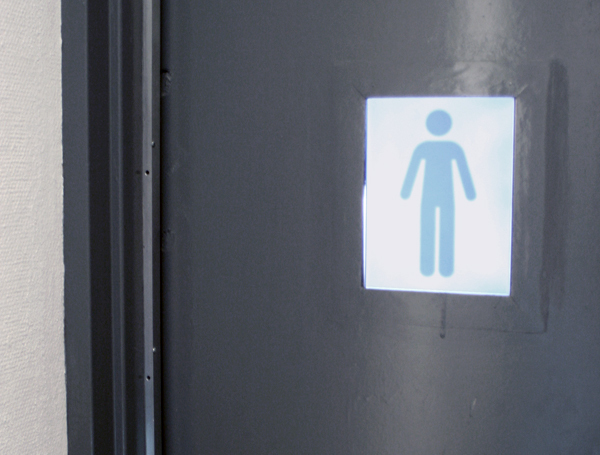 The bathroom door in the Aronson Galleries was replaced with a custom door featuring an interactive sign with changing iconography to give the participant the experience of a gender-neutral space. It was installed for two weeks in Aronson Galleries at the Parsons School of Design. Original website on Rhizome ArtBase. 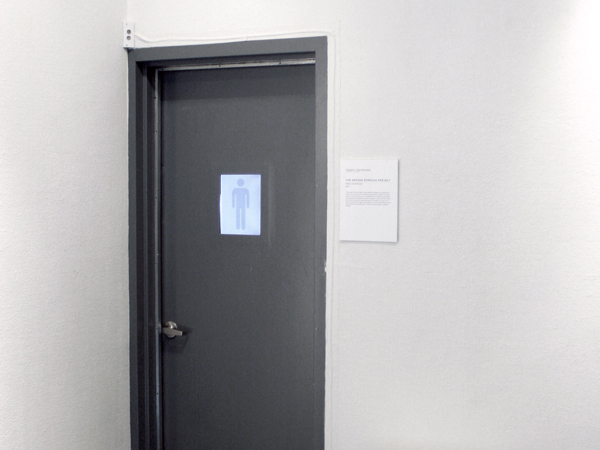 Site-specific installation, Aronson Galleries, at Parsons School of Design, 2005. "Conversations on Digital Disruption and Cyberfeminism at A.I.R Gallery." Posture Magazine, November 16, 2015. "Gender Anarchy Project," Rhizome ArtBase, May 8, 2005. "Gender activism," We Make Money Not Art, May 27, 2005. "Gender Anarchy Project, temporary gender symbols," Neural.it, Sept. 15, 2005.